Workplace safety isn’t a one-person job. It takes teamwork. How’s your safety team doing? Here are some key steps to make your teams more effective. 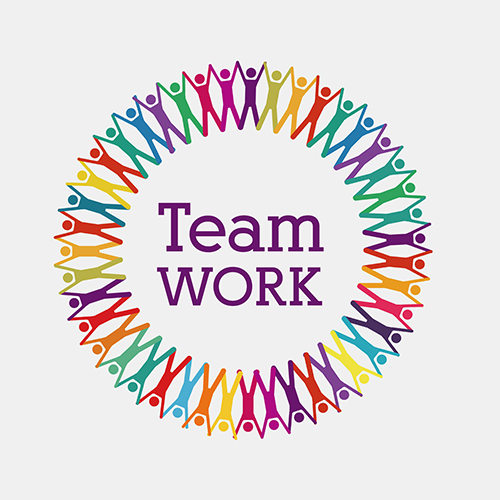 In a safe workplace, there are lots of teams working together. There’s your safety management team. There are employees teaming up with co-workers formally and informally to protect one another. There may be a safety committee working as a team to identify and correct hazards. And then, if you’re doing it right, there’s the one big workforce team, composed of all those other teams, working together to prevent accidents, injuries, and illness across your entire workplace. Make safety a priority. Talk about it every day and hold weekly safety meetings to discuss new information, problems, and solutions. Keep your workforce informed. Make sure employees are up to date on any changes in policies, procedures, materials, hazards, and so on. Ignorance is a dangerous enemy of safety. Select the right equipment. This includes both equipment like tools and machines as well as required PPE. Make sure employees know how to use equipment properly—and follow up to make sure they dos. Emphasize employee participation. Get employees involved in hazard detection, problem solving, and decision making. Everybody has something to contribute to a safer workplace. Encourage suggestions. Employees know a lot about their jobs, and if you’ve trained them well, they know a lot about safety, too. Listen to their ideas for making the workplace safer. Reinforce safe behavior. Give positive feedback—and lots of it—for safe performance, and use feedback to correct unsafe behavior and redirect risk taking as well. Focus. Effective teams are focused on the same safety mission—identifying hazards, working safely, and preventing accidents. Goals. Effective teams understand safety goals and commit to achieving them. Everybody on the team works together toward the same goals to achieve success and prevent injuries. Involvement. When teams are successful, it’s because employees all over the workplace are involved in safety programs and in efforts to improve workplace safety. Cooperation. On effective teams members cooperate with one another and depend on each another to identify hazards, follow safety procedures, and prevent accidents. Communication. Because team members are interdependent, they must be constantly communicating, sharing information, giving warnings, reinforcing safe behavior, and talking up safety.